Traditional crafts, whether for utilitarian or artistic purposes, represent a very valuable form of cultural expression, a ‘capital of self-confidence’ which is especially important for the developing countries. Re-emphasizing the value of handmade works is also important for many developed countries where the quality of life is often threatened by excessive industrial standardization. Crafts take their roots in age-old traditions that are renewed by each generation and stand at the threshold of cultural industries. Craftspeople do not simply conserve the cultural heritage but also enrich and adapt this heritage for contemporary needs of societies. In recent decades, there is a growing demand and interest in crafts not only in support of cultural diversity but also to satisfy the demand of modern man to find and establish roots as well as enhance our lives. Craft products are being prominently displayed and collected by people and corporations alike, at the same time, inspiring contemporary art and design. Especially with the great interest of the West in Eastern culture and lifestyle, ASEAN crafts are in the forefront of modern culture. 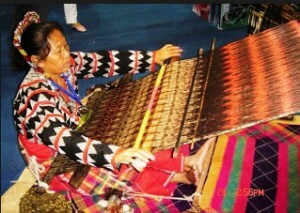 In addition, craftspeople form a large part of the workforce in many developing countries, especially in ASEAN and Asia. Small firms of artisans are the mainstay of craft industries, but have limited exposure to the market and underdeveloped business skills. However, empowerment of craftspeople and artisans are increasingly seen as a tool for economic development, poverty reduction, and the assurance of cultural diversity. Thus, a new focus on the potential of mainstreaming arts and crafts into national development plans is a powerful means of achieving more sustainable development.